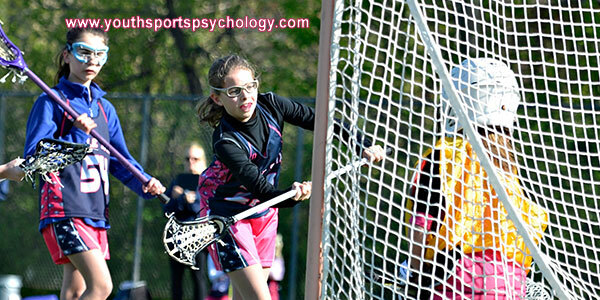 You are here: Home / Kids in Sports / Parents: Are Your Athletes Having Fun? This question often comes up in youth sports. To parents, it often seems like a no-brainer that a talented child should stay in sports and not give up. But it’s important to remember that your feelings do not necessarily match the feelings of your young athletes. And truth is, their talent is theirs–not yours. It’s up to them to decide whether they want to quit. However, before kids get to this point, there are many things you can do to prevent them from dropping out. Young athletes don’t want to feel pressure from parents, coaches, or refs. While it’s great for you to hear how talented your children are, it may be putting more pressure on your sports kids-pressure they don’t want. The key to keeping your talented young athletes in sports is to make sure they enjoy the experience more than feel too much pressure. College scholarships and athletic potential are likely to not seem ‘real’ to your kids. What is real to them is how sports make them feel, and with the added pressure of having to perform up to others’ expectation, it may not feel fun at all. Encourage your kids to have fun in sports. Don’t mandate that they play sports. Remember back to when you were their age. You likely didn’t enjoy mandates handed down by your parents. Instead of having your kids focus on being the best or attaining certain achievements, have them focus on having fun with friends and learning new skills. A pressured sports kid is likely to stop being a sports kid entirely, so do whatever you can to take that pressure off. If your athlete simply lost the joy of sports and has no interest in engaging, then you don’t want to demand that they play sports. You want them to participate for the right reasons, not to satisfy a parent. Help your young athletes have fun and stay in the game!